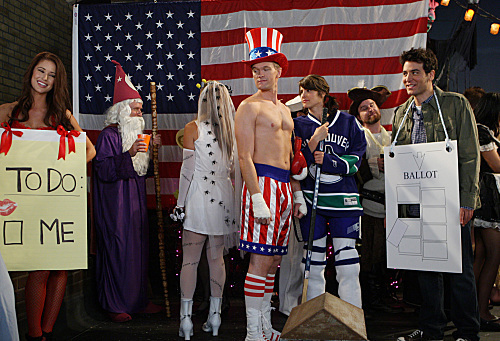 Episode 7.08 - The Slutty Pumpkin Returns - Promotional Photos. . Wallpaper and background images in the How I Met Your Mother club tagged: how i met your mother season 7. episode 8 the slutty pumpkin returns promotional photos. This How I Met Your Mother photo might contain dress blues, dress whites, and regimentals.